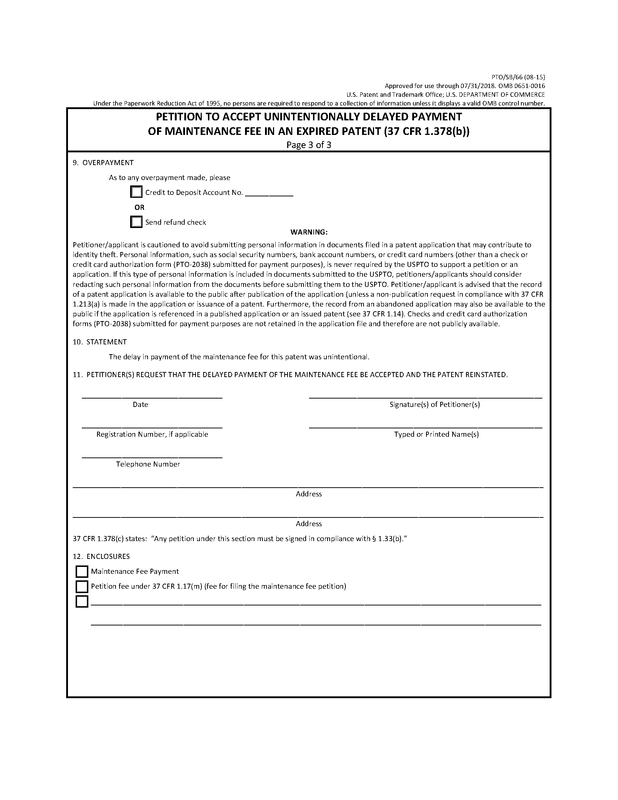 The following forms are suggested when submitting a maintenance fee or establishing a fee address for maintenance fee purposes. 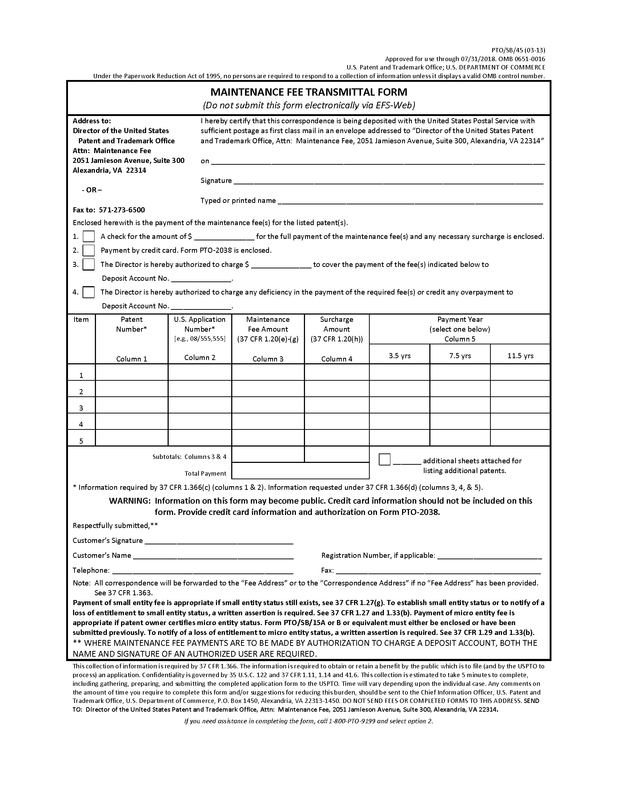 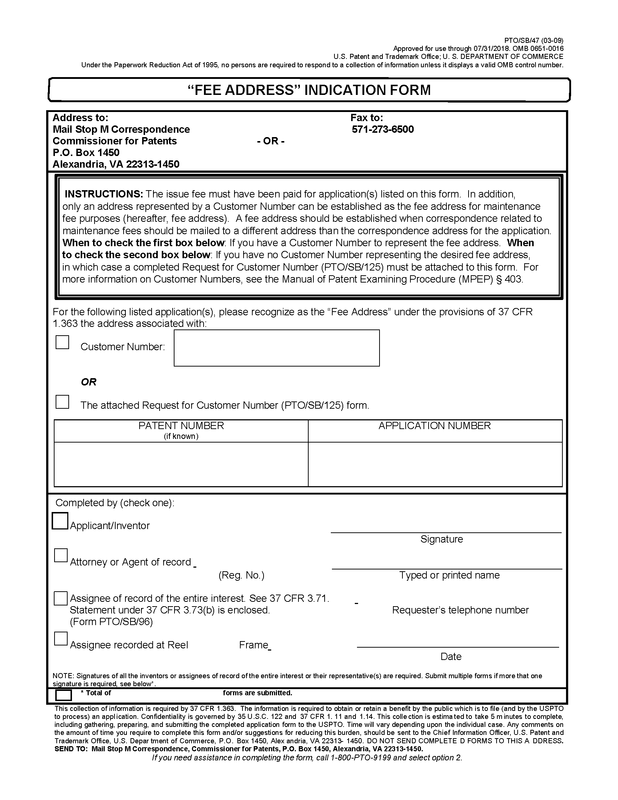 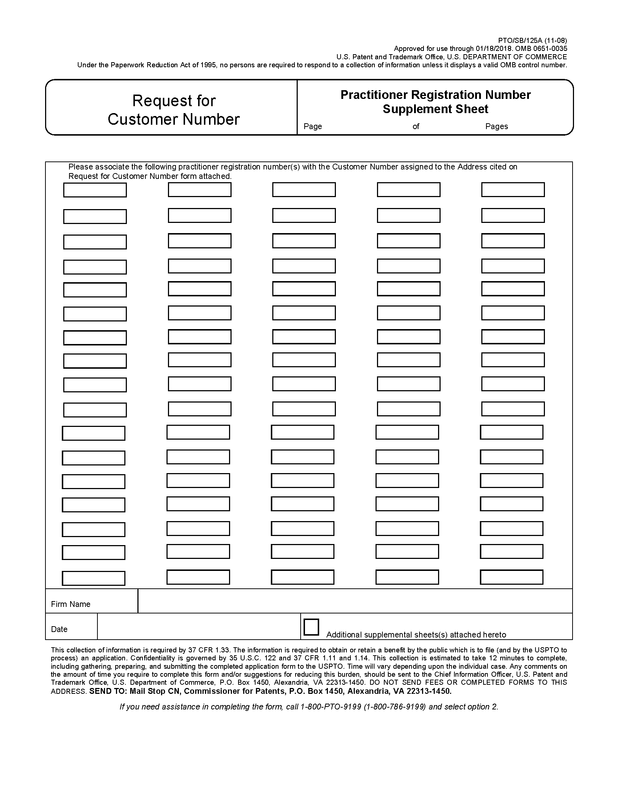 "Maintenance Fee Transmittal Form," Form PTO/SB 45; and "‘Fee Address’ Indication Form," Form PTO/SB/47. 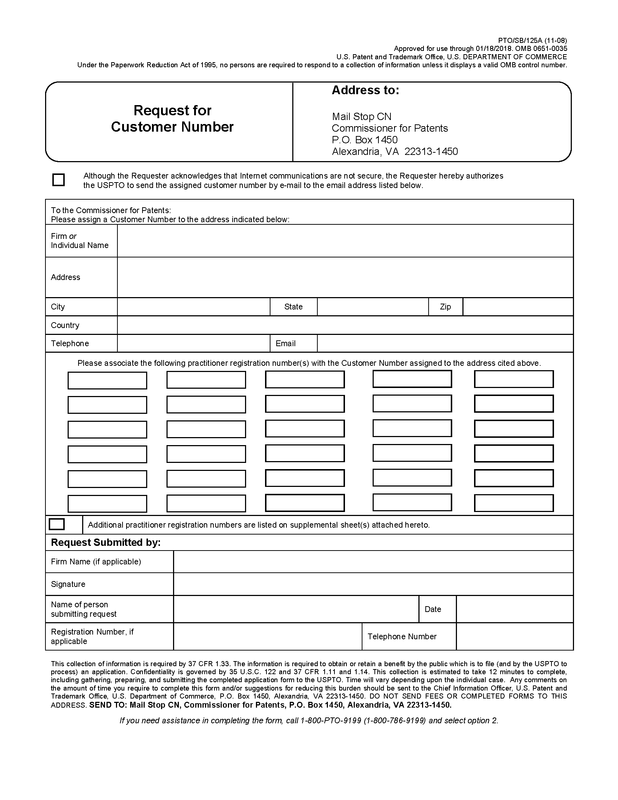 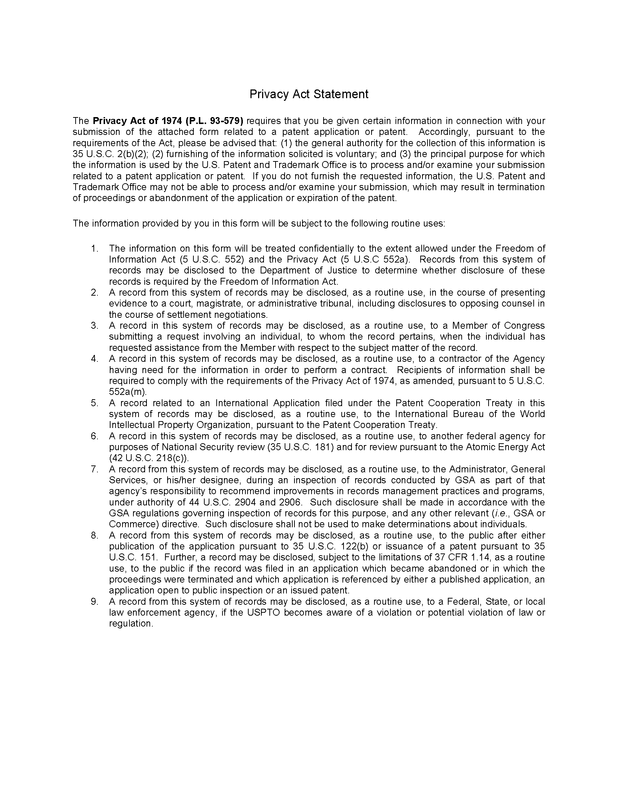 Form PTO/SB/125 ("Request for Customer Number") may be used to request a customer number. 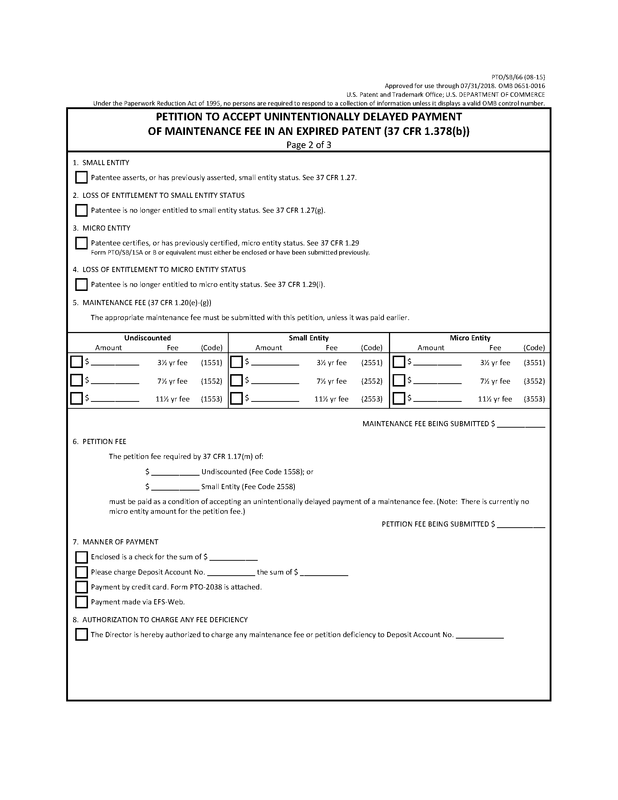 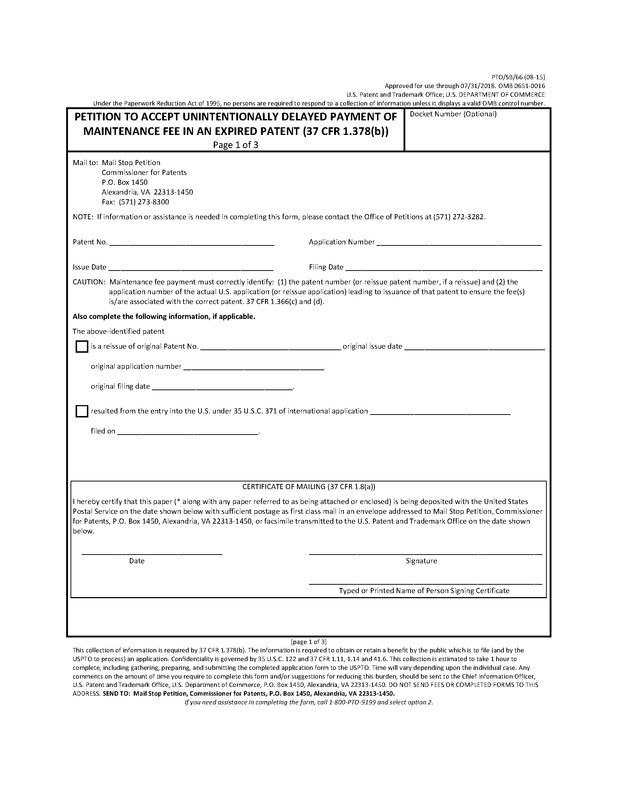 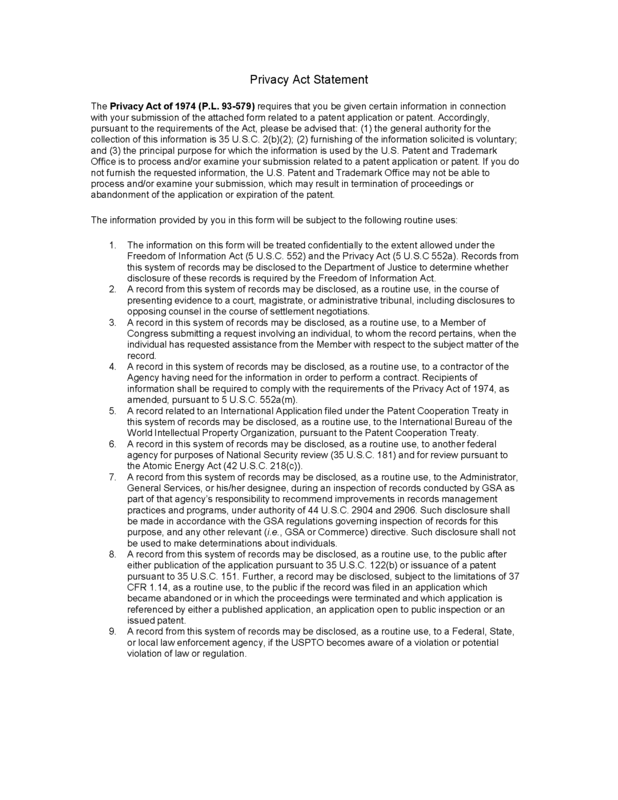 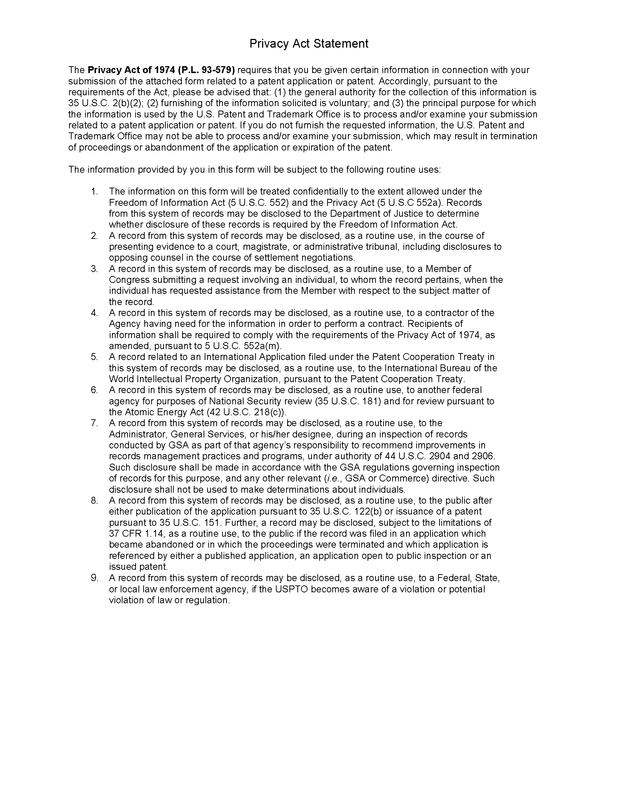 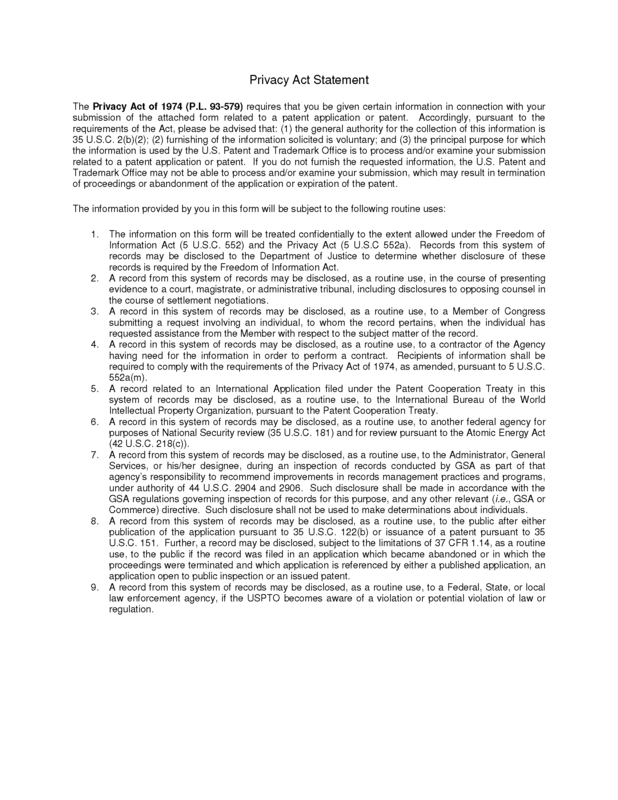 Form PTO/SB/66 ("Petition to Accept Unintentionally Delayed Payment of Maintenance Fee in an Expired Patent (37 CFR 1.378(b) )") may be used to file a petition under 37 CFR 1.378(b).